Skin is the largest organ in your body and you need to take good care of it throughout the year. Be it winter or summer, you need to follow a strict skin care routine. Plus, depending upon the season you need to take some extra care of your skin. This helps to deal with the seasonal changes and also skin gets adapted to the environmental changes in a positive manner. For instance during the winter season, the skin generally tends to dry out and so you need to opt for extra moisturizing tips to keep the skin soft and supple. To deal with dry winter skin, you can apply a quick and easy face mask that will add moisture and glow back into your skin! To make this moisturizing face mask, you will need only three ingredients. One half of a ripe banana. 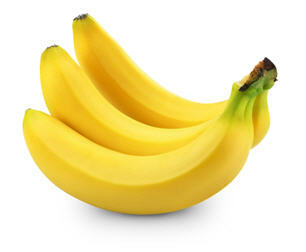 Bananas are amazing because they have vitamin c and antioxidants which help cleanse the skin of free radicals. Half cup of plain yogurt. Yogurt cools the skin, reducing any redness and tightens pores. A teaspoon of honey. 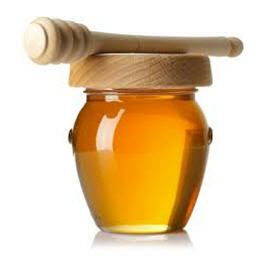 Honey is a natural antibiotic so it can kill any bacteria in your skin as well as add moisture to your skin. How to make the face mask? Collect all the ingredients at one place. Now, smash the ripe banana properly in a small bowl. Make sure there are no lumps and it has a smooth consistency. Once you have made a paste of the banana, add one teaspoon of honey and mix properly. Then add half cup of plain yogurt to the mixture and stir and mix all the ingredients properly until you get a smooth paste. Your homemade face mask for dry skin is ready for use. How to apply this moisturizing face mask? Before you start applying the face mask, wash your face with lukewarm water properly and pat dry with a towel. It is very important to have a clean face, devoid of any makeup particles so that the moisturizing properties of the face mask can do its work. Generously apply the mask to your face with the help of a brush. You can even use your fingers to apply the face mask. Allow the mask to sit for about ten minutes. Use lukewarm water to wash it off. Finally, splash some cold water on your face to close up your pores and then pat dry your face with a clean towel. After using this mask, you can notice instant change in your skin texture and quality. Your skin will feel extra soft and supple. Apply this hydrating face mask once in two weeks. Those who have extremely dry skin can apply this mask once a week. To sum up, there is no need to worry about dry skin during the winter days. Just use this face mask on regular basis and people will give compliments on your glowing and radiant looking skin. Dandruff is a very common hair problem that nearly all people experience at one point of time in their lives. Dandruff is a fungal infection that causes itchy scalp having flakes of dead skin cells. This hair problem becomes more prominent during the winter months. The chilly and windy days of winter months tend to make the scalp dry, flaky, scaly, and itchy. However, dandruff can also be due to improper diet plan, excessive perspiration, use of harsh shampoos and living in a polluted area. Emotional stress can even be the reason behind dandruff. 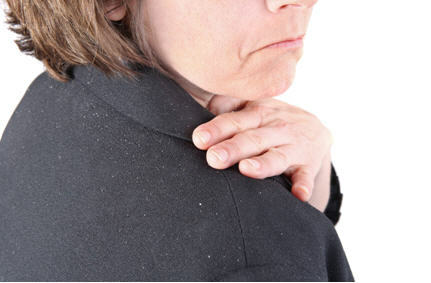 Dandruff is not a serious health condition but it causes social embarrassment. This is why you need to make efforts to treat and prevent them. Preventing dandruff is a challenging task but with a proper hair care routine you can control it to a great extent. Some tips to help you deal with dandruff. Central heating in homes and offices during the winter months dries out hair and also increases the production of dead skin cells. This is why it is important to moisture to your environment. A humidifier will add the much-needed moisture to your environment without giving you a cold. You need to limit the use of hair styling as well heating treatments as it can aggravate the problem of dandruff. Avoid, or reduce the use of hair products like hair gels, mousse or hairspray, along with blower or any heat-based hair straightener. Start eating more foods that contain high amount of protein, zinc, B vitamins and certain fats like omega-3 fatty acids. You can even take supplements after consulting your doctor. You should avoid the saturated fatty acids as it contributes to the production of more skin oils in the scalp region. Read this article at www.healwithfood.org to know about the foods that can help to prevent dandruff. Brush your hair at least twice per day to eliminate the flakes from your scalp. Regularly brushing your hair helps to keep your scalp free of dead skin cells. Regular hair wash is highly essential to keep your scalp free of dandruff. This will help get rid of excess oil and flaky scalp skin that might block pores. Apply a dandruff shampoo to your scalp; massage gently for few minutes and then rinse it out. Use mild shampoos if you are washing your hair more than thrice a week. Stronger shampoos tend to make your scalp drier. Know about the eight best dandruff shampoos here at www.totalbeauty.com. Hot oil therapy is a good way of treating dandruff. However, make sure that you keep the oil only for about an hour or two and not longer. Hot oil therapy will deep condition your hair. Got oil therapy should be done hair once a week and for better result use olive or coconut oil. Hot oil therapy has many benefits. You can know about the benefits here at www.hairfinder.com. You can use baking soda to treat winter dandruff. Wet your hair completely and take few tablespoons of baking soda into your hand and rub it on to your scalp gently with the help of your finger tips. This step will loosen up the dead skin cells and oily flakes. Finally rinse your hair with lukewarm water. Do this once in a week. Hair masks must also be used on hair to retain its beauty. 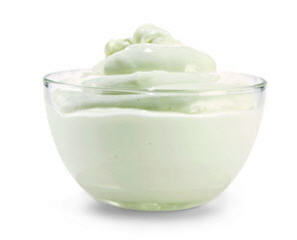 You must use yogurt on your hair as it is regarded as one of the best natural protein conditioners for hair. Take plain yogurt and apply it on your hair and gently wrap it with a towel. Leave for about ten to twenty minutes and then wash your hair thoroughly. This hair mask will help you to get rid of dry hair and dandruff. Too much stress in life can exacerbate dandruff. So, learn how to manage stressful situations by practicing yoga, meditating, or listening to soft music. So, it’s time to follow these tips and start flaunting your lustrous locks in this winter days! Due to the freezing winter temperature outside and dry heat emitting from room heaters, the skin becomes extremely dry during the winter months. Especially the skin around the elbows and knees become dry and rough with flaky layers of skin. But with some simple tips you can surely make dry and rough skin on elbows and knees much softer and better so that you can enjoy good looking hands and legs. Exfoliation is the first important step to start with. It is highly essential to exfoliate your body in order to get rid of dead, dry skin cells. During the winter days you need to pay special attention to your knees and elbows as they tend to become drier and scalier as compared to other parts of the body. Try to be careful and gentle while exfoliating and do not scrub your skin aggressively. Exfoliate your dry skin around your elbows and knees at least once a week. You use a commercial product or homemade sugar scrub, but you need to avoid products that contain alcohol because they can even make your problem worse. After exfoliation, the next step is to moisturize and re-hydrate your skin thoroughly. You can use a moisturizing cream that contains aloe vera and vitamin E to give your elbows and knees an intensive treatment. Try to apply moisturizer right after taking a bath or shower as during this time the skin can absorb moisture quickly. You can even apply some olive oil, almond oil or lavender oil to nourish your dry skin before going to bed. Regular use of moisturizer can help you to enjoy a beautiful, hydrated skin on your elbows and keens. With the temperature going down, it seems very tempting to indulge in a long, hot bath or shower. Regular hot showers can be the reason behind dry patches of skin that feel scaly or even start to crack. This happens as hot water washes away skin’s protective oils, leaving it dry, tight, and itchy. So, if you have extremely dry elbows and knees you need to use lukewarm water instead of hot water. If you want to avoid dry skin on knees and elbows, you need to protect them from the cold, windy, dry fall and winter air by wearing proper and suitable clothes. The best way to dress for winter is to wear layers and keep your hands and legs properly covered. Wearing layers will give you flexibility to add or remove layers, depending on the weather and your activity. Thermal long underwear made of synthetics (polyester, polypropylene, etc.) is a good option. Wear bulky flannel lined pants, wool pants or sweaters on the outside. If you are in a windy area opt for a wind proof layer for every part of your body to reduce wind chill. If you have extreme dry skin on knees and elbows, use an emollient every day. Emollients are a category of moisturizers often used to help maintain skin hydration and provide a skin barrier. In addition to making the skin look and feel smoother, some emollients contribute to the reduction of trans-epidermal water loss (TEWL). An emollient is not as creamy as a lotion, but it works like magic on dry, cracked, itchy skin. For better result, opt for an emollient having ingredients like lanolin, soy sterol and sunflower seed oil. By following these tips you can pay much attention to hydrate and nourish your elbows and knees which are generally left out and neglected. Room heaters are often used in the winter days to keep the room warm and cozy. But such electronic appliances can burn a hole in your pocket due to the increasing electricity bill. Also room heaters tend to take away the moisture from the air which is not at all good for your skin as well as your hair. Well, there are many other things that you can do to keep yourself warm during the cold winter days. Here are a few tips to stay warm this winter. Instead of wearing one large sweater, try to wear layers of thin clothes. Thin clothes will trap body heat and keep you warm. Another point to remember is that do not keep your skin exposed as when the skin gets in touch with cool air, you will feel colder. So, when you go out make sure to wear appropriate woolen clothes and shoes and do not forget to cover up your face and hair. Having a cup of hot tea during the winter months you make you feel warmer. This is mainly because the tannin in tea has a warming effect on your body. It is highly recommended to enjoy herbal drinks more as compared to caffeine or alcohol based drinks. At the same time try to include heat generating foods in your diet plan and eat regular meals to help keep you warm. Working out in the cold may be the last thing you feel like doing but it must be done. Going for a walk or doing some light exercises will give you a rush of endorphins which boosts mood. Also exercise will get the blood pumping around your body and in turn heat up your skin. Plus, sitting and doing nothing will make you feel colder and so move around and do things you love to do. During the cold winter nights, you may feel like staying at home rather than catching up with friends. But research shows that having an active social life will help you to remain warm. Scientists from the University of Toronto have come to the conclusion that inactive social life can make you feel colder as compared to when you spend more time with people. Try to enjoy an active social life this winter to help keep the cold at bay and boost your mood. Get cozy with warm blankets at night instead of using an electric blanket which is not even good for your health. 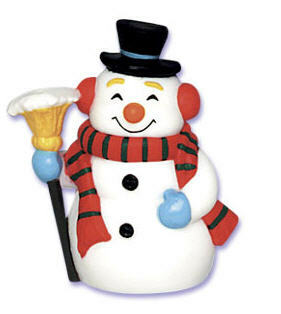 You can even use hot water bottle to keep yourself warm. While sleeping, ensure you stay warm by wearing pajamas and bed socks to keep your feet from getting cold overnight. Also avoid wearing woolens in bed as it can strip away the moisture from your skin. A dehydrated skin looks dull and lifeless. Keep these tips in mind to keep yourself warm throughout the winter days. Many people feel cold all the time especially during the winter days as their blood pH tends to become more acidic (lower) during the winter. As the temperature seems to be dropping everyday, more and more people are seen bundled up in heavy sweaters and woolen clothes to stay warm. But often after wearing layers of woolen clothes, the body does not remain warm and you feel cold. If you really wish to stay warm this winter, you need to consume heat producing food items to beat the chill. It is a fact that what you eat can make a big difference in how warm your body is. There are certain winter foods that can raise your body temperature and keep you warm. Here are top 5 foods that can make you feel warm and cozy. Garlic: It is well known fact that garlic can lower high cholesterol level, but very few people are aware of the fact that garlic can help to keep your body warm. Garlic has antibacterial properties that help a lot in the treatment of coughs and other throat irritations which can become worse during the winter months. Chew three to four raw garlic cloves daily. You can also add some fresh garlic to your soup or cooked dishes and enjoy it. Ginger: Ginger contains gingerols and shogaols that have thermogenic properties that can keep you warm. It not only has warming properties, but it also helps to boost your metabolism to keep winter colds at bay. Ginger also promotes blood flow that also helps a lot to keep you warm from your nose to your toes. For the most warming benefits, drink ginger tea three to four times a day. You can also take raw ginger slices, or add them to your soup or vegetables. Honey: Honey is also highly effective when it comes to warming the body. It is an antimicrobial agent which helps to keep you healthy and fight disease like cold, cough and common flu symptoms during winter. As honey is a natural sweetener, you don’t have to bother about all those extra calories. Honey is also great for the complexion. Cinnamon: Cinnamon is one of the best warming spices. The sweet and warm taste of cinnamon is perfect for the winter months. Ground cinnamon can be added to add flavor to baked foods as well as your soup and salad. Cinnamon sticks can also give a wonderful taste to many warm beverages, such as tea. Nuts: Peanuts, almonds and walnuts are amazing for your body. They not only warm you up instantly but also provide your body with good cholesterol, omega 3 fatty acids, vitamins and fiber. Nuts are also easy to incorporate into a diet. Soak some peanuts, walnuts and almonds at night and next morning eat these soaked nuts. This is one of the best ways to give your body deep warmth that lasts. You can also eat roasted nuts as snacks. Not all foods are good for the winter season. There are some foods that you need to avoid in order to keep your body warm in the winter. Such foods include: white breads, cucumbers, too much butter, cold drinks, white rice, alcohol and processed chips. If you wish to eat these foods, have them in limit. Note: Never make the mistake of overeating on a cold winter night. Overeating can raise your metabolism level which burns off the extra calories needed to keep the body warm. This winter, enjoy the above mentioned heat producing foods handy to help keep you warm.